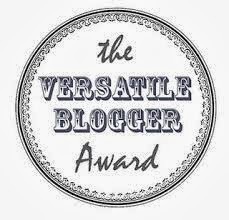 "The Versatile Blogger Award is given to you from your blogger peers, for writing quality blogs that have somehow touched them, having good quality photographs, and the uniqueness of the subjects covered. 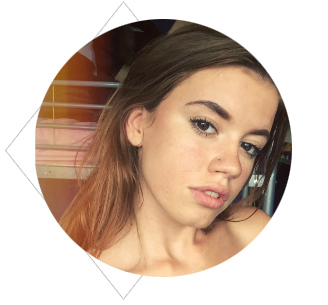 The Award is to honour the bloggers who bring something special to your life." I am so excited to say I have been nominated for the 'Versatile Blogger' award by the lovely Saida at Saida Cane Photography! Please make sure you go and check out her photography blog - it's really beautiful, and such a good read. I enjoy her posts everyday - thank you for nominating me Saida! I enjoy reading each of these blogs and they are definitely my favourites. Go and check them out, it will be worth it I promise! 1. I absolutely love reading. I wish I had more time to do it! 2. My favourite season is autumn, followed by winter. 3. I have an intense love for orange and mango juice. 4. I'm a waitress in a Surf Bar & Grill. 5. When I was younger I wanted to be an actress or an author. 6. My birthday is on July 16th. 7. My favourite colours are purples, navy blues and greys. Thank you so much to Saida for nominating me once again!